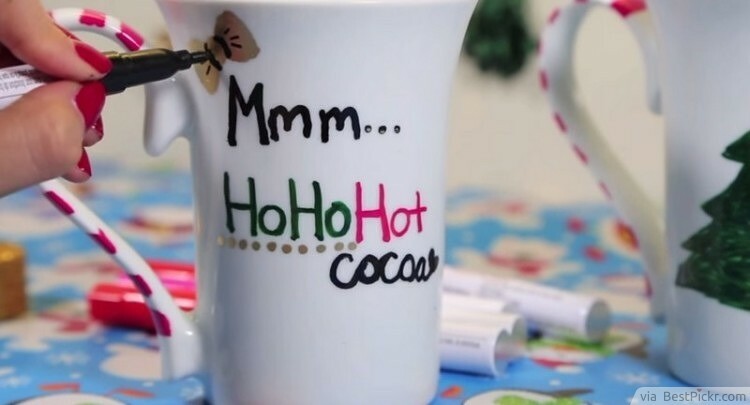 A customized mug can be a perfect homemade Christmas gift idea for different people, especially if someone enjoys their morning coffee or likes to drink hot cocoa while watching movies. You can gift them alone, but you can also place them into a cool gift package along with Christmas movies, popcorn, marshmallows and candy canes. 1. 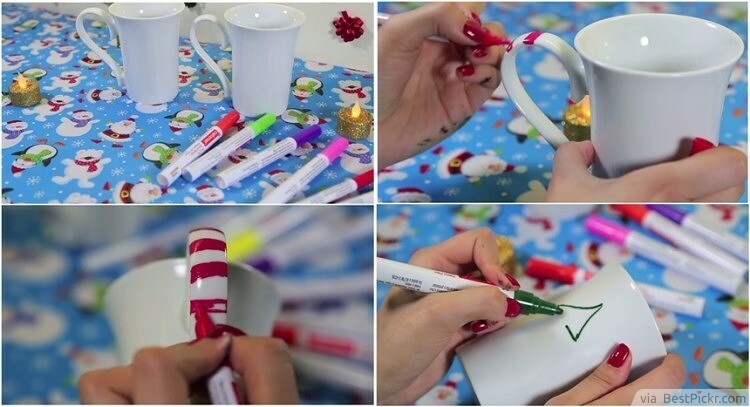 Take a mug and start decorating it with the paint markers. 2. It’s pretty easy to do, just let your creativity run wild!3. Heat in the oven for about 3hrs to let the paint settle in.